The director of Finland’s intelligent road project will be a key speaker at a two-day conference and demonstration on connected and autonomous vehicles (CAV) in Edinburgh at the end of this month. Reija Viinanen, director or the Aurora arctic intelligent transport test ecosystem, will be appearing at CAV Scotland 2018, a Transport Scotland event taking place on 31 October and 1 November at the Royal Highland Centre in Edinburgh. Running beside Traffex Road Expo Scotland, the event will bring together experts and thought leaders in the field alongside the technology companies/demonstrators and associated organisations with an interest in CAVs. According to the Finnish Transport Agency, which has developed the 10km stretch of intelligent road for testing self-driving technology ‘snowtonomous driving’ is the new buzz-phrase in the CAV world. ‘Adverse weather conditions – particularly snow – have long been one of the toughest challenges for self-driving cars, and automated driving will not become widespread without weatherproof technological solutions,’ Ms Viinanen said. With the peaks and mountains of the highlands experiencing around 100 days of falling snow annually, Scotland is ideally placed to investigate snowtonomous vehicles. The country’s huge geographic and socio-economic diversity offers opportunities to test and develop CAV in a wide range of environments, including remote rural areas where infrastructure and communications are very different from large metropolitan areas. 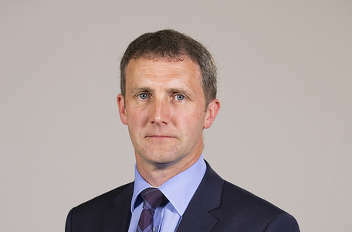 Michael Matheson MSP (pictured), cabinet secretary for transport, infrastructure and connectivity, will give the keynote address at CAV Scotland on 31 October. He said: ‘The deployment of connected and autonomous vehicles in Scotland will bring transformative change to the way we travel and work, as well as having a positive impact on the economy, the environment and safety. Adrian Tatum, head of events for Transport Network, which is organising demonstrations and the conference programme, said: ‘There are still many unanswered questions around CAV development: preparing our roads for autonomous vehicles; insurance and legal issues; and public confidence. Places are strictly limited for this free-to-attend event. To find out more and to register your interest, visit http://www.cavscotland.co.uk.